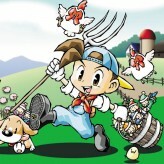 Get a chance to own a farm and experience a rural life in this fun farming simulation video game - Harvest Moon: Back to Nature! 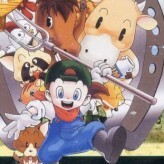 Harvest Moon: Back to Nature is a farming simulation video game that was released back in 1999 for the PlayStation 1 gaming console. The game features role-playing elements with both life simulation and dating simulation elements mixed in. The goal of the game is to increase the value of the farm and earn a lot of money during your stay on the farm to make the farm officially yours. Will you be able to gain enough money and build a solid relationship with the villagers? 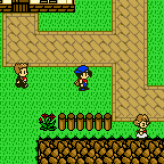 Harvest Moon: Back to Nature is an online PS1 game that you can play at Emulator Online. This free PlayStation 1 game is the United States of America region version for the USA. 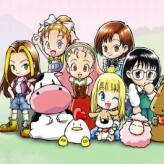 Harvest Moon: Back to Nature is a single title from the many simulation games and harvest moon games offered for this console. If you enjoyed playing this, then you can find similar games in the ps1 games category. 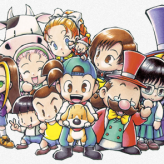 Harvest Moon: Back to Nature game is from the various retro games on the site, and there are more games like this, including Harvest Moon: More Friends of Mineral Town, Crash Bandicoot 2 Cortex Strikes Back and Krazy Ace Minature Golf.